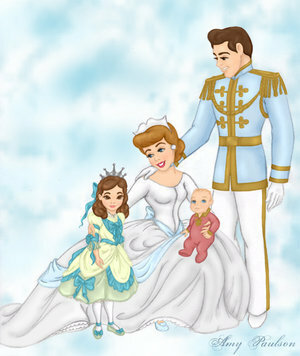 Cinderella and Prince Charming. . Wallpaper and background images in the Disney Couples club tagged: prince charming cinderella. Awwww this is so cute! So what would the little cutie pies names be?